I love these pots. They are of excellent quality for the cost. I’ve been buying the 10 pack but if you need more, they have those options as well. 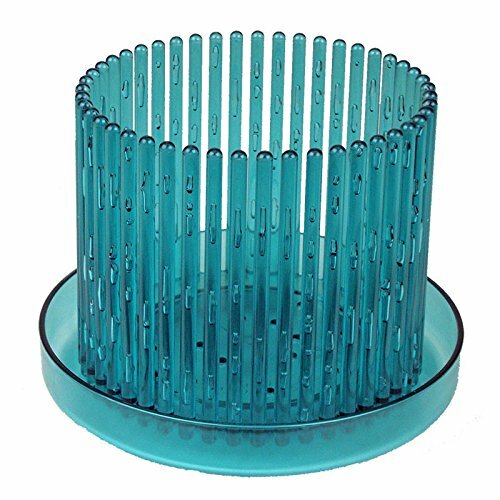 Size: 5.5 inches on the top; 3.7 inches diameter at the bottom; 4.33 inches Height. 10 pots pack. These flower pots have holes in the bottom and slits on the sides to increase drainage. 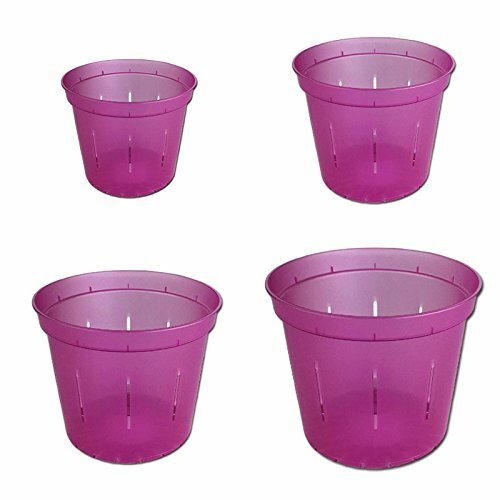 Clear pots allow to control the well-being of the planter roots. 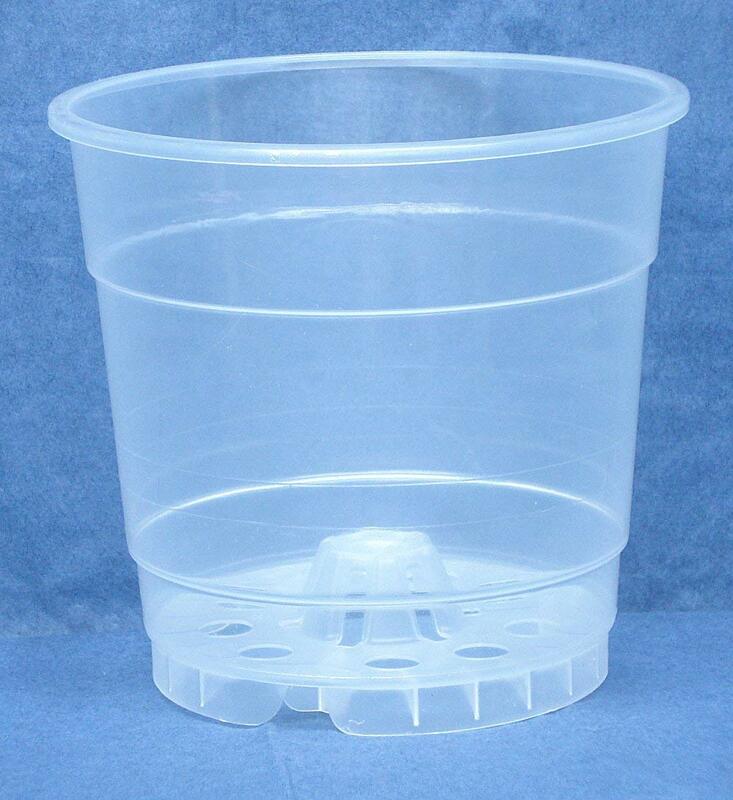 Sturdy design with raised center helps eliminate stagnant water. 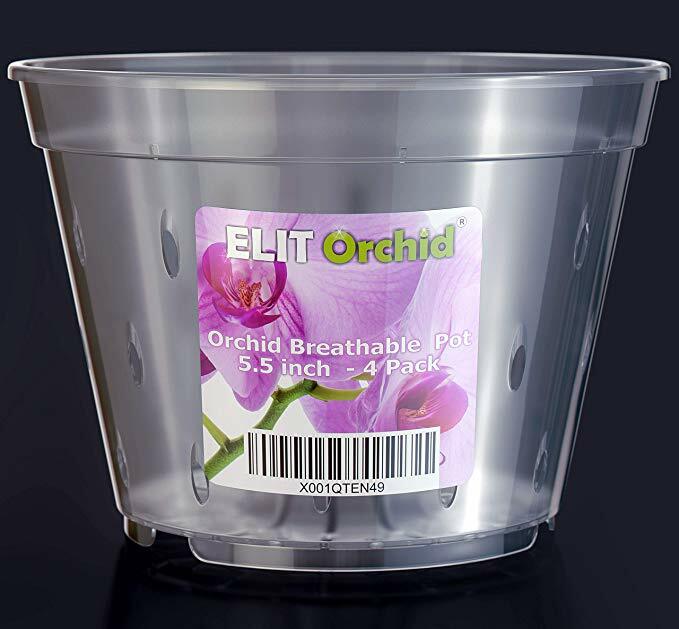 Ideal for Orchids and other plants that require sunlight and air to their roots. This is another fantastic orchid pot set from Elit Orchid. Unlike the other 4.5 inch pots listed in my shop, these do have holes all along the sides, as well as the bottom. This allows for maximum air flow and light transmission to the root system. I have listed both the 4.5 inch and 5.5 inch version, since there is a big difference when it comes to repotting in either of these sizes and to make it easier for you to navigate. These are great pots. If you have quite a collection of orchids, having an assortment bunch of orchid pots on hand is extremely helpful as you never know what you’ll need until you inspect those roots! These are what I like to call my “beginner pots.” They are very good for orchids with damaged root systems or small root systems that need tighter living quarters to thrive. 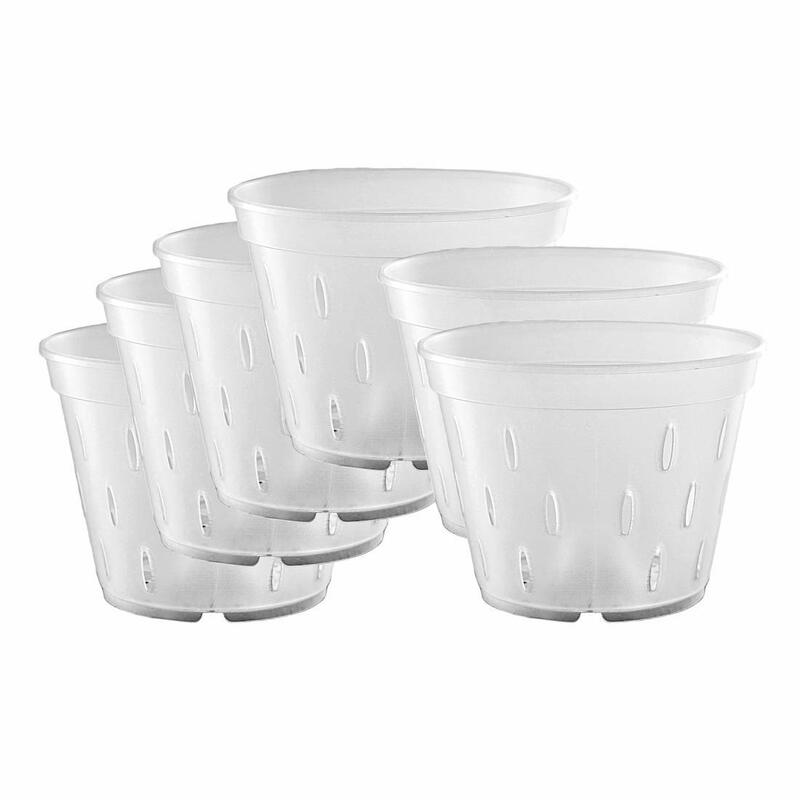 Do keep in mind that these pots do not have holes along the sides of the pot, only the bottom. Most commonly, these are the types of pots store bought orchids will be in. 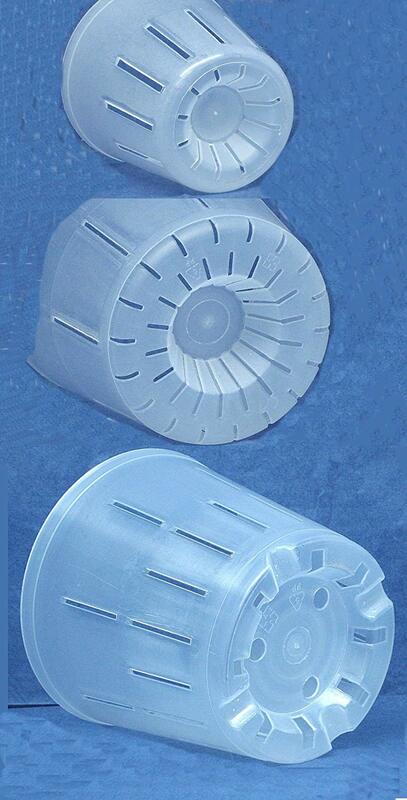 However, these are of higher quality and do have the raised center for improved drainage. Preventing water pooling is a must since orchid roots rot easily in stagnant water. This is an assorted variety pack. They do come in a variety of colors to suit your personal tastes. Each pot is designed appropriately for orchids, with holes for maximum air flow and light transmission. Incredibly unique carousel pot for your air loving Phalaenopsis orchids!